This book applies risk society theory to the 'War on Terror', steering the discussion away from the militaristic discourse of the Bush era towards an emphasis on global cooperation and a new cosmopolitan agenda. The literature and rhetoric of the 'War on Terror' has been dominated by dramatic high-profile military campaigns and division in the international community. This overlooks the various multilateral practices and cooperative processes that are emerging to combat global terrorism. President Bush himself had initially been at pains to stress that his 'war' on terror would be like no other; it would involve not just military tools but financial, intelligence, police and diplomatic measures too. More than eight years later, the time is right for an in-depth evaluation of this 'other' war on terror. Yet these relatively mundane regulatory dimensions have received much less attention than the 'hot' wars in Afghanistan and Iraq, where ongoing difficulties suggest that military force alone is inadequate in controlling globalised terrorism. This book aims to redress this imbalance, by foregrounding these initiatives, tracing their implementation and reflecting on the implications for International Relations. 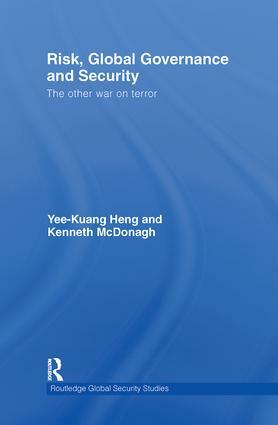 Adopting an analytical approach that seeks to incorporate theories of risk, global governance and security, this book aims to explore the overlapping multi-level and multi-lateral dynamics of the emerging global security architecture which have remained neglected and unmapped thus far in the war on terror. This book will be of interest to students of risk politics, security studies, global governance and IR in general. Yee-Kuang Heng is Lecturer in International Relations, University of St Andrews, UK. Kenneth McDonagh is Lecturer in International Relations in the School of Law and Government, Dublin City University. Whither the other war on terror?